The cover for the book might be misleading. It shows fine art painting but in fact Women is collection of black and white line art drawings and sketches on women. It's a paperback book with glossy paper. 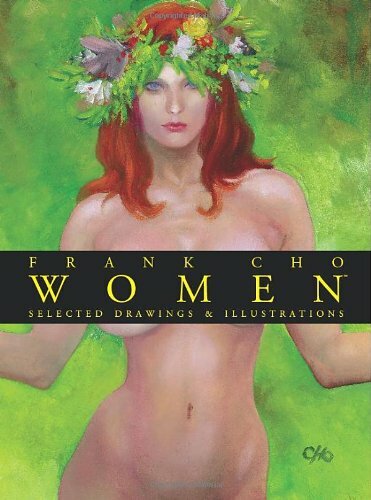 Most of the women are illustrated in different fantasy world settings. Since Frank Cho (wiki) is the creator of Liberty Meadows, there are a few drawings on Brandy as well. There are no captions so it's just art all the way.